The chihuahuas compact size makes them particularly good for apartment living. Chihuahuas come in both short haired and long haired varieties so suit homes with allergy sufferers or where dust and hair is an issue. While some smaller chihuahuas have difficulty jumping down off beds or negotiating stairs, they are still lively and versatile dogs regardless of their size. Chihuahuas will quickly work out an alternative route onto furniture they can’t reach and are also nimble enough to avoid getting trodden on when at people’s feet in the home. Chihuahuas are notoriously intelligent dogs; boasting the biggest brain in comparison to body size in the whole canine kingdom. Chihuahuas are eager to learn and can prove a lot of fun for children and adults alike when training them tricks and obedience. If taught from 3 months onwards, chihuahuas can become well behaved, highly trained dogs that rival the abilities of breeds such as the sheep dog and labrador. Known for their affectionate and cuddly nature, chihuahuas make for great family pets in homes with young children. While chihuahuas can exhibit a bark to alert owners to people entering their property, chihuahuas are rarely aggressive if socialised from an early age; resulting in a breed which is safe around young children. Chihuahuas are thought to become fiercely protective over one person when there is a lack of socialising and intense mollycoddling will only result in a pet that is anxious and over protective. 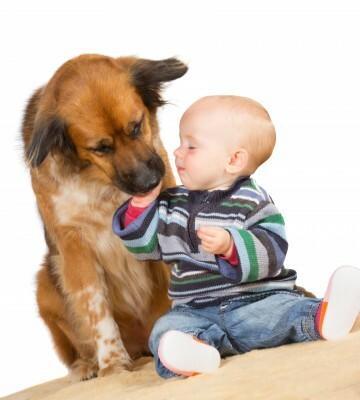 As with any breed, young children should not be left unattended with a dog at any time. This entry was posted in Uncategorized on June 17, 2014 by bvnhj.